Each of us is on a life-long journey. At KidzLife, we believe that journey can be a wonderful adventure for every child. 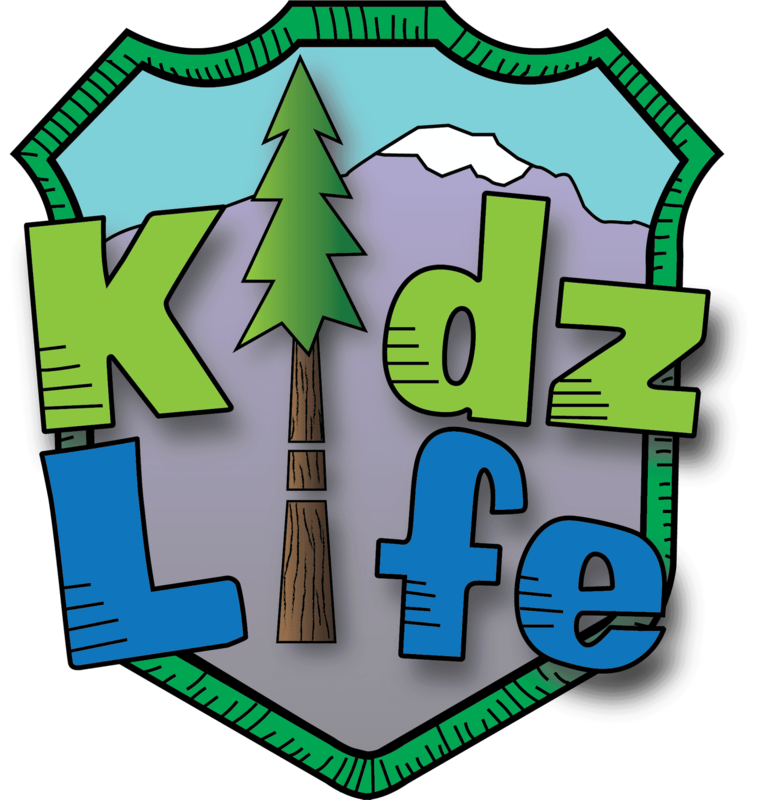 KidzLife is a fun, safe, interactive place for kids to learn and grow in their faith in God as they begin their journey along life's road. We like to call it "choosing the Jesus-Road". We love helping kids to know that they are loved by a really Big God they can count on no matter what is around the bend. We love helping kids know they can rely on God's Word, the Bible, to show them what is true and wise each day. We love helping kids grow and thrive in their faith in God as their life adventure unfolds. We count it a privilege to partner with parents in their unique role of raising and guiding their kids throughout the growing up years. There's something for every age (birth through 5th grade) during both services. We believe that every child should have the opportunity to explore the promises, truth, and wisdom of God's Word, the Bible, on an age-appropriate level. As we explore together, we want all children to feel invited, welcome, and safe! We want to get to know each child and their family so that we can help to meet the unique needs of each child. Base Camp is designed to be a fun and engaging way for kids to learn and grow in their faith. Large group teaching and small group shepherding combine with games, worship, and fun to provide a place that kids will love to come to! 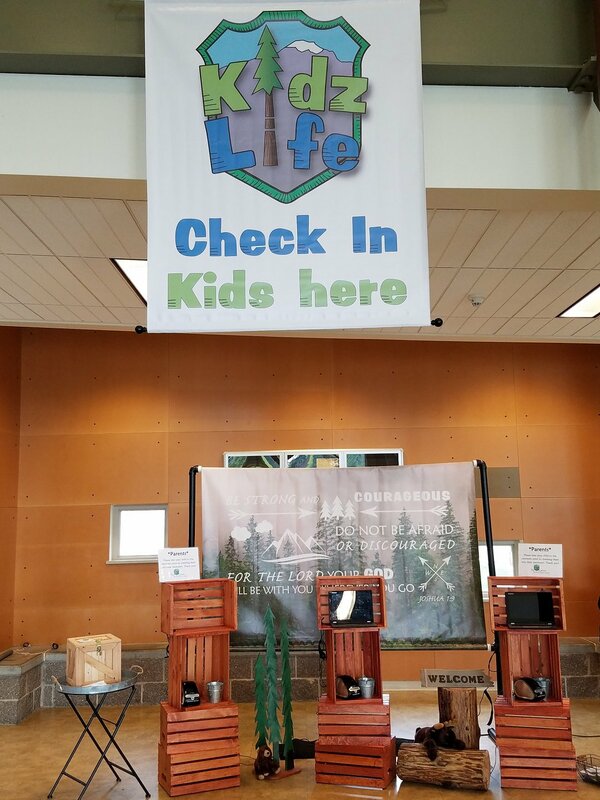 KidzLife Base Camp is where a kid's journey down the Jesus-Road can really get started! Your child's safety is important to us.  All adults serving in our children's ministries have undergone a thorough background screening process. If parents would like their child to attend both services in KidzLife you may drop them off at 8:50 a.m. and pick them up following the second service at Noon. Children will be provided a name tag with their classroom assignment and a security code matching a tag given to parents. 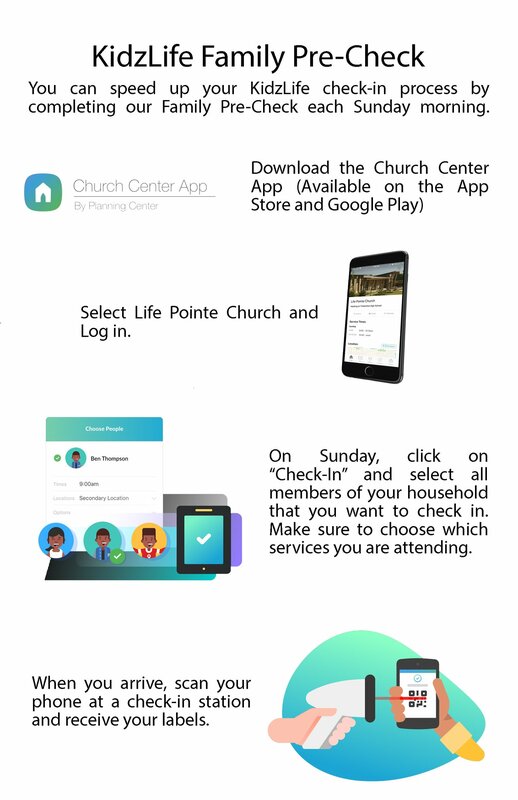 During the adult worship gathering, if your child needs you for any reason, that number will appear on the projection screen. Parents present their security code tag when picking up their child. Pick Up: Parents must present their security code tag to pick up their child. Your child will not be allowed to leave KidzLife area without being picked up and without the matching security code tag.